Some students graduate from high school and take a year off before continuing to college. During this Gap Year they might complete an internship, travel, study a foreign language, or work as a volunteer. When the next academic year comes around, they are more mature and better prepared for the challenges of university life. Transfer this concept to the brink of retirement and you get the Golden Gap Year. This intermission in “life as we know it” becomes the time to complete unfinished business which work and life have prevented before retirement. The Golden Gap Year is a time to delay classic retirement (the “rest of your life”) by inserting a time to do the things you have never really had the freedom to do before this point. 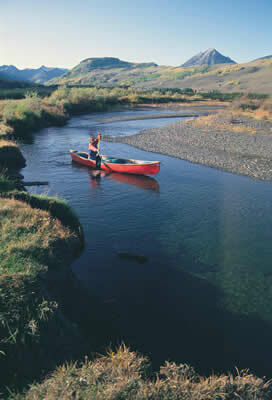 Have you always wanted to follow the path of Lewis and Clark? What can you do in a Golden Gap Year? Of course you can travel! This is the time to get to the destinations which have always been too far away until now or to complete a trip which you never had time for. Seeing all fifty states? Two friends completed their life list of states this June by finally seeing North Dakota. Other friends consider going completely around the earth at surface level (not by jet) just to comprehend the SIZE of the planet we share. You could take even more than Phileas Fogg’s Eighty Days, and if you allow more time, you won’t need Fogg’s immense income. There are a multitude of possibilities. Like high school graduates you could volunteer somewhere for a longer than usual time. You could pursue a hobby in ways which have been out of reach before now. Astronomical events like eclipses are visible only from certain places on clearly predicted dates; why not be where you would like to be? This could be the time to visit the villages your ancestors came from and spend some extended time with ancient village or church records, filling in gaps in the family genealogy. 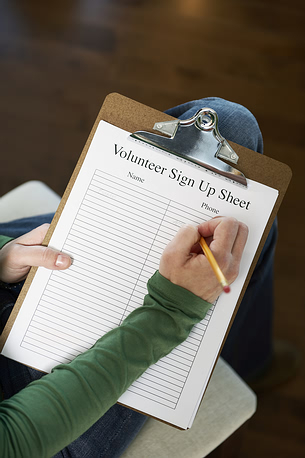 What volunteer opportunities have you never quite had time for? A Golden Gap Year does not have to last exactly a year; it could be just a long season – or eighteen months. It need not be continuous either. Your “year” could be divided into negotiable segments if that helps you meet other requirements at home. You could also mix up your travel partners. If you prefer not to travel alone, different friends or relatives might be eager to help you with a portion of your special year. Nor does it have to cost a great deal. Extended travel usually requires a different mindset and spending rate than an intense two week vacation. If you go to Costa Rica to help with the turtle nesting season, you will probably not want to stay in a luxury resort. As they say “It costs no more to go first class. You just can’t stay as long.” So opt for staying longer – at a bed and breakfast. I will be happy to help you plan any variation on this plan. Your Golden Gap Year should be yours, so consider carefully what you would do with this set aside time. But do plan to observe the transition from one life stage to the next by doing something extraordinary for yourself! 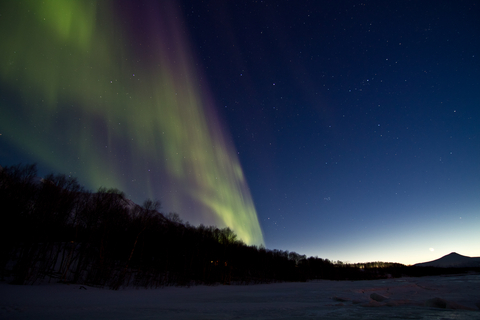 What better time can there be to see the northern lights? This entry was posted in Travel, Uncategorized and tagged Around the World in Eighty Days, charity, Foreign language, golden gap year, Phileas Fogg, retirement, study, travel, understand, volunteer. Bookmark the permalink.